This genuine Electro-Voice speaker cover is designed to fit the EKX-18S 18" subwoofer perfectly. Its rugged exterior material repels dirt, dust and moisture, while the soft and thickly padded interior protects the EKX-18S from everyday scratches, dents and dings. 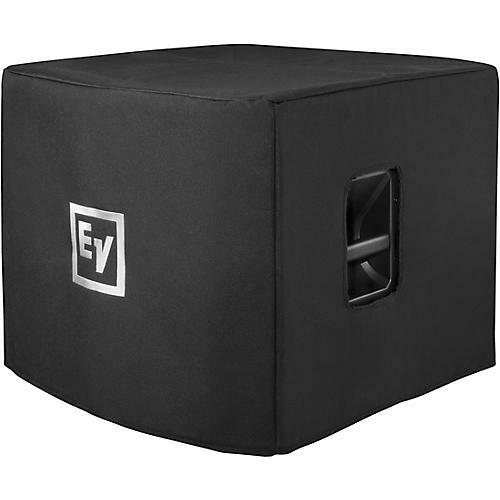 The EKX-18S-CVR speaker cover is the best way to keep your subwoofer looking professional and free of unsightly damage that is often a side effect of regular gigging. Not only will it help keep your gear operating in top form, it will help preserve the value of your investment over the long haul. Order this genuine EV accessory today to protect your investment.